Swedish authorities are now working with automotive companies on IT/geo-fencing technology which can control the movement of vehicles within a geographic zone. The collaboration sees the National Transport Administration (NTA) working with companies like Volvo, Scania and automotive safety systems group Autoliv. When rolled out in a micro-managed traffic environment, geo-fencing zones will be supervised from command centres operated by local authorities. Sweden is currently leading developments in geo-fencing systems for the 5G era, when road travel is expected to become even safer and more efficient, and when networks will be capable of automatically prioritising mission-critical communication between intelligent vehicles and infrastructure. 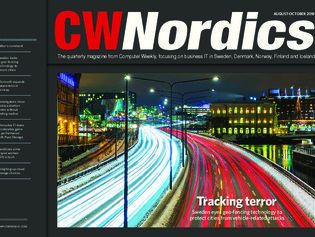 In this issue, we also cover the news that Microsoft is building two more datacentres in Norway to support its cloud computing services in Europe, after being attracted by the Norwegian government’s “Norway as a datacentre nation” (NADCN) plan. The datacentres in Greater Stavanger and Oslo will add to Microsoft’s footprint in Norway, which already includes 600 staff and about 1,700 partners.